The Star Wars franchise turns forty this year; look for quotes and metaphors to crop up ad nauseam in marketing circles. Always ahead of the pack, we’ll get ours out early. 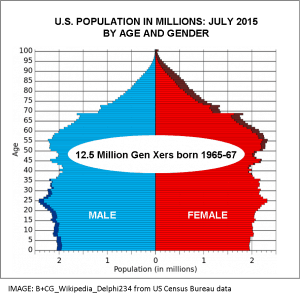 In another 2017 milestone, for the third year in a row over four million members of Generation X – born 1965-1981 – will reach their 50th birthday and disappear from mainstream brand advertising. Thanks to Madison Avenue’s remorseless Death Star ad targeting model, by year’s end, their voices will have suddenly cried out in terror and been silenced. 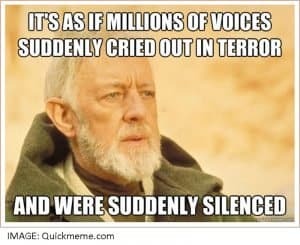 All this is happening because long, long ago in a galaxy far, far away, venerable Mad Men decreed that Americans are no longer willing or able to adapt new behaviors after age fifty and, anyway, their grizzled presence in advertising sends young prospects fleeing in horror. 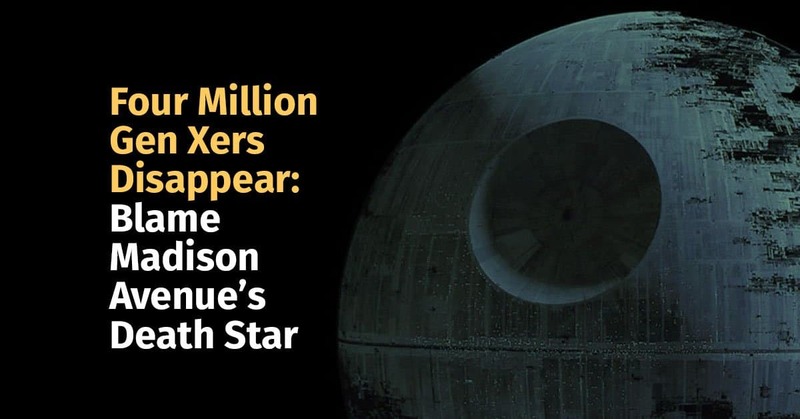 So, from 2015 through 2017, around 12.5 million Gen X consumers in their peak earning years will have become as unwelcome as a droid in a Mos Eisley spaceport bar. That’s the equivalent of banishing the entire Los Angeles/Orange County metro area population – okay, okay, hold it down, no snarky jokes please. 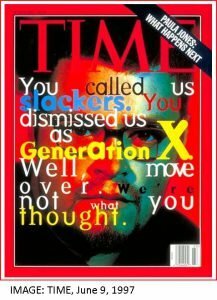 TIME jumped the gun in 1997, suggesting that Boomers – then beginning to turn fifty – must now yield to the Xers. 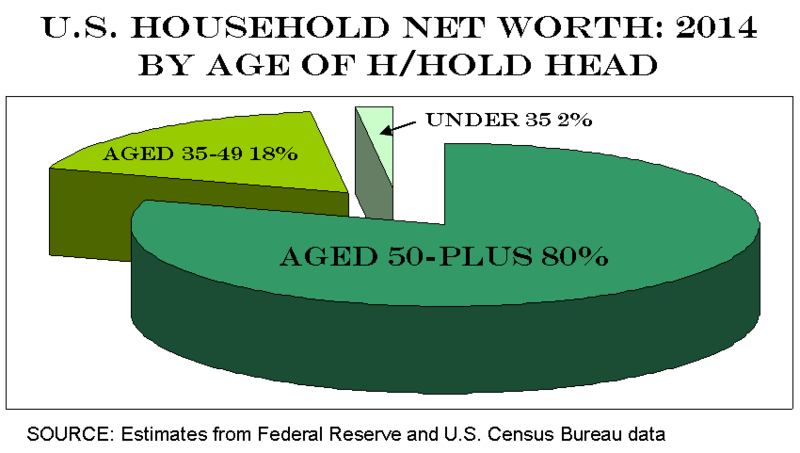 But there’s a big difference between leaving the hip 18-49 demo and losing economic, social or political power. 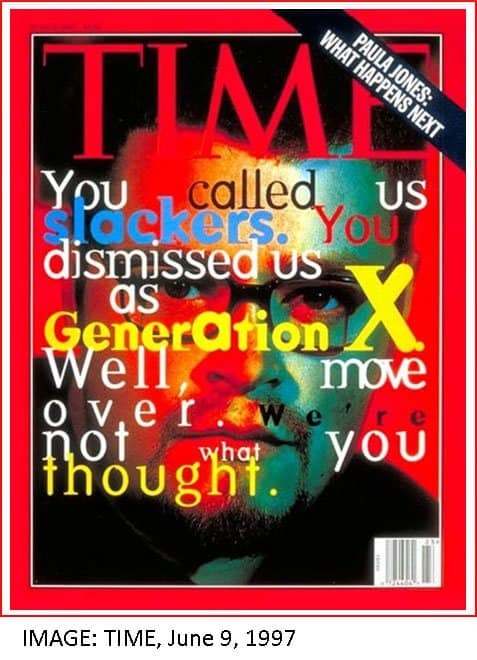 In fact, Gen X waited almost twenty years for recognition until the oldest of them reached the 50-year tombstone milestone and qualified for membership in the Boomer-Plus Generation. 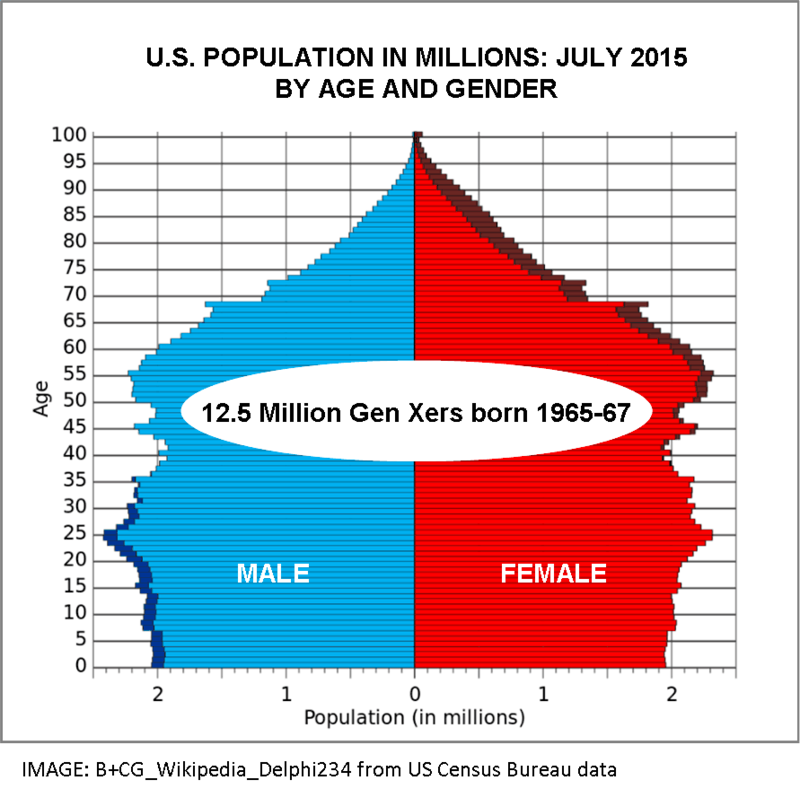 Originally home to those born from 1940 to 1964, due to old school ad targeting theory, the generation now embraces millions of newly expelled Xers from the birth years 1965-1967. The 18-49 worship cult originated in the 1950s/60s as younger Americans were setting up households, streaming into the new mass consumer marketplace and embracing the good life. 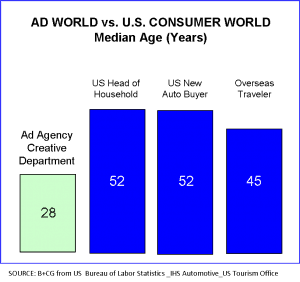 By the time the 2000s arrived the dogma was so entrenched that it wasn’t just consumers over fifty who were victims of Death Star targeting – now Madison Avenue’s own staff was in the cross-hairs, with most being shown the door before they hit forty. In fact, of 297 occupational categories tracked by the U.S. Bureau of Labor Statistics, advertising and PR ranks second youngest (median age: 38). 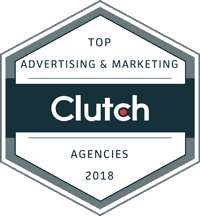 Even scarier, industry sources estimate fewer than 4% of all ad agency personnel are over 50 and the average creative department staffer is only 28. 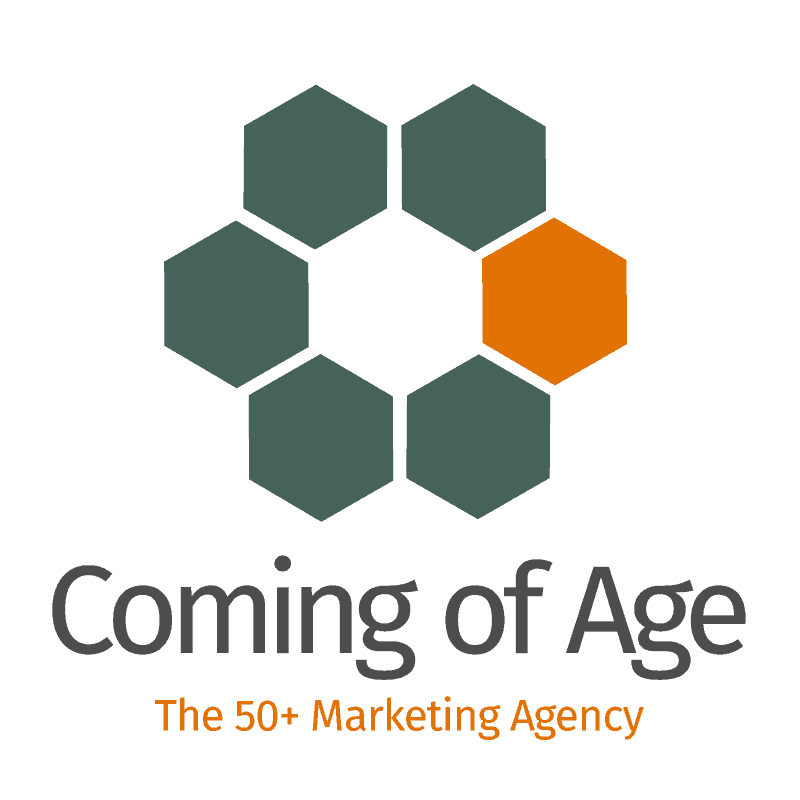 Brilliant as they may be, no matter how many gigaflops of big data at their disposal, 28 year old creatives cannot possibly experience brands the same way as consumers in their fifties or sixties. No wonder so many awkward stereotypes crop up when Millennials venture into Boomer-world: hint … no, we didn’t actually live our lives in the grainy, faded colors of your mom’s old Super 8 home movies and not every grandpa out there mountain bikes up Pike’s Peak on the weekend. Fortunately, ambitious Millennials looking to join the Rebel Alliance can learn to prosper among the 110+ million Americans over 50 who make up the world’s third largest economy. 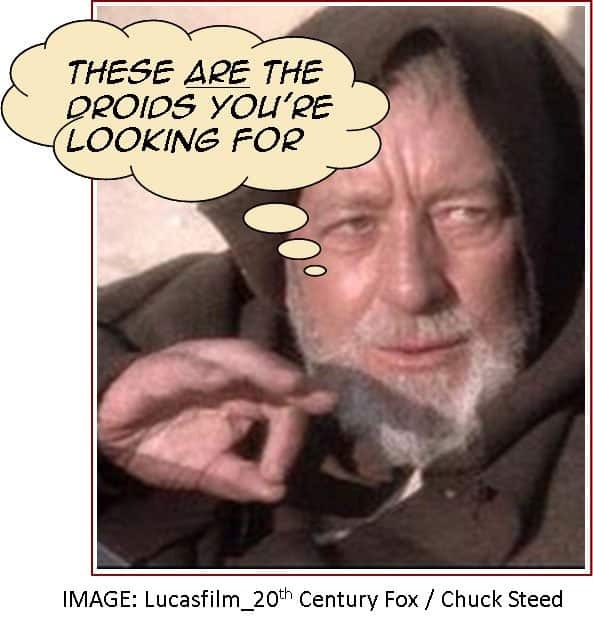 So, trust the wisdom of Obi-Wan: “These ARE the droids you’re looking for” … click and make the jump to hyperspace.